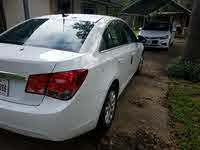 The 2011 Chevrolet Malibu offers real-world seating for four actual adults with a comfortable and quiet ride and adequate power from either engine. A lack of build finish for the interior and major rear blind spots are small negatives for the 2011 Malibu, changes we hope will be addressed with the 2012 redesign. It’s sad when small things ruin an otherwise great vehicle. The interior issues and the rear blind spots are hardly enough to ruin the Malibu, but timing is the issue here. With another major redesign on a new platform about to debut, it’s hard to recommend anything but waiting a few months for 2012 to get here, as good as the 2011 Malibu is. With a 2008 redesign that targeted its Asian competitors, the Chevrolet Malibu has enjoyed renewed appreciation in the ensuing years, and now awaits yet another iteration based on the Epsilon II platform for 2012. This is the same platform that spawned the Buick LaCrosse and the Saab 9-5 and should result in a lot of big changes for the Malibu. As a result, there’s not much new with Chevy’s smaller midsize sedan, other than a six-speed automatic becoming the solely offered transmission for all four trim levels. So for the final year of its seventh generation, the four-door, front-wheel-drive Malibu is offered in LS, LT, LT2, and LTZ trims. Standard in all models is a 2.4-liter inline four-cylinder (I4) engine, although LT2 and LTZ trims get the option of a 3.6-liter V6. Choosing that engine will exchange the I4’s electronic steering for more traditional and sportier hydraulic power, and for visual appeal you’ll also get 18-inch chrome alloy wheels and chrome exhaust tips. With 169 hp at 6,400 rpm and 160 lb-ft of torque at 4,500 rpm, the base 2.4-liter I4 engine can hardly be called a powerhouse of performance, but once the tach needle climbs, this little engine actually builds speed surprisingly well. It’ll never scare or shock, but it’ll get the job done even on the highway. Some testers have complained about the need for a heavy right foot in order to wake up the transmission, but with a 22/33 mpg rating, there’s a lot to overlook. A 3.6-liter V6 is always an option for those looking at the LT2 or LTZ trims, and it needs no excuses. In fact, with 252 horses at 6,300 rpm and 251 lb-ft at 3,200 rpm, the problem is too much power, or rather the need for proper application of that power. Even with standard traction control, the 3.6 will spin its wheels from a standstill, resulting in substantial torque steer even in clear weather. Take it easy on takeoff and you’ll be rewarded with a powerful engine that can handle passing and climbing with ease, aided by the same six-speed automatic that seems much more relaxed and at home with the bigger V6. 17/26 mpg is a big drop from 22/33, but you’ll be rewarded with a huge power increase and an aggressively sporty growl from under the hood and the chrome-tipped exhaust that just might be worth that loss of efficiency. All trims receive the same suspension treatment, so any ride and handling variations will have to be attributed to wheel choice. While 17-inch wheels are standard, V6 trims and the I4 LTZ get 18-inch alloys that reverberate inconsistencies with increased vigor. Still, with either wheel setup the Malibu is composed and comfortable, even for longer trips. While the 18-inch wheels do channel more road feedback, the hydraulic steering in the V6 trims offers a more significant change in feel, with a more aggressive profile leading to increased confidence in turns. That said, the electronic steering is still good and progressively heavier as you build speed, and overall the Malibu controls roll and lean in a pleasant combination of comfort and performance without managing to sacrifice either. Uneven joints and excessive gaps mar what could be a rather upscale interior, dropping the Malibu's perceived value from above its own class. That’s a shame, especially considering the chrome and fake wood trim that manage to lift the Malibu out of the typically bland treatment of the midsize class. A lack of adequately padded surfaces in key locations – namely the doors and armrests – have led testers to complain and some owners to experience ulnar nerve irritation. These issues aside, the interior represents a winner all around, with plenty of room fore as well as aft to accommodate heads as well as feet, even for 6-footers. Even with front seats slammed all the way back and down, adults can manage to comfortably occupy the rear space, something not usually found in this class. While the 2011 Chevrolet Malibu has not yet had its test scores published by the NHTSA, it should be noted that earlier this year it was announced that the Malibu would be one of the 55 models chosen to take part in the NHTSA’s more rigorous tests that began in 2011, and its results will be released in September. Those 55 models represent more than 70% of cars on the road, a number the NHTSA hopes to raise to a number in the mid-80s, where their testing fell in 2010. Still, with six standard airbags, traction control, antilock four-wheel disc brakes and an antiskid system, the Malibu isn’t doing badly in the safety department at all. And given the across-the-board five-star rating the Malibu earned in 2010, the same can be applied to this year’s model, given that no major changes were applied. 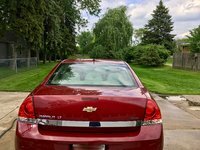 With even the 2011 Malibu's I4 providing adequate power and the six-speed automatic applying it quite efficiently, owners seem to be happy and only get happier as the options pile on. Small complaints regarding overall fit and finish, as well as some needed extra padding for the doors, do hurt the overall experience, although not as much as the thick rear roof pillars that provide an annoyingly large blind spot. Still, the Malibu has been well-received among owners, especially those who opted for the V6 and find themselves never wanting for power. 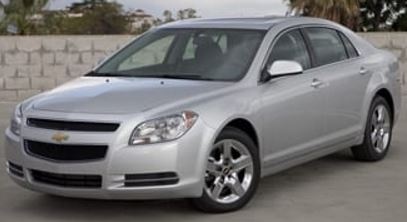 What's your take on the 2011 Chevrolet Malibu? VtRay I have a 2011 Malibu and it is one of the best cars I have ever owned. I am 77 and have a lot of vehicles in my background from several companies. The V6 in this car delivers a 0 to 60 in about 6 sec. plus decent milage and a comfortable ride. Blesdogg650 Honestly the best car I've owned to date. Doesn't lack power in the 4 cylinder and still delivers in mpg highway. Users ranked 2011 Chevrolet Malibu against other cars which they drove/owned. Each ranking was based on 9 categories. Here is the summary of top rankings. Have you driven a 2011 Chevrolet Malibu? Chevy Malibu 2011 Timing Chain When To Replace?